Two women, wearing wooly knitted skirts, scarves and leg-warmers as well as yellow diving fins are moving in and out of a blue inflatable pool filled with sand. Through the slapping sound of the walking, a rhythm occurs. 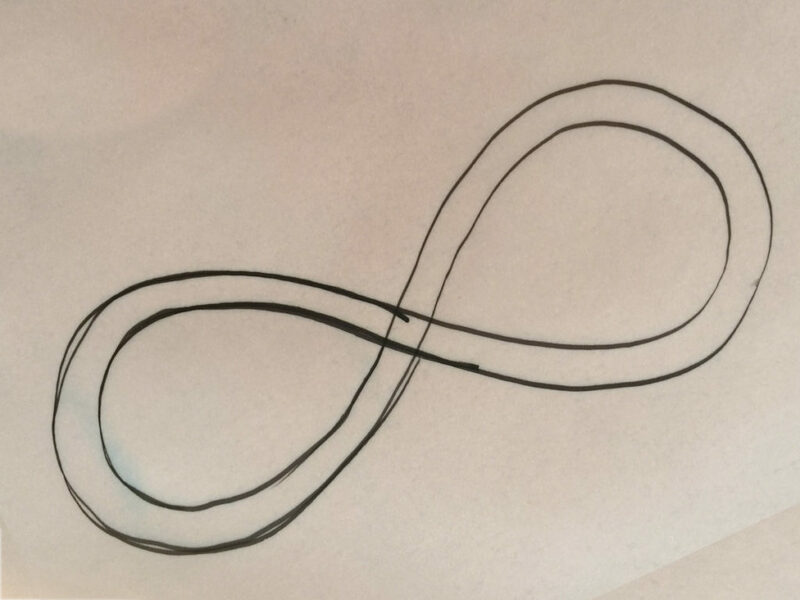 The two women follow a complex moving pattern whereby the shape of the lemniscate (eternity symbol) is pronounced. They lay down in the pool where by their long legs are angled and stick out of the pool. The two women make a shoulder stand, then swing them self up out of the pool and continue their walk.